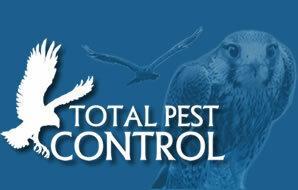 Total Pest Control offer a no-nonsense approach to cleaning up pigeon and bird droppings (Guano). We can also install measures to prevent a repeat build up. Our pest control cleaning specialists use powerful detergents to remove all trace of bacteria and fungi which are harmful to human health. Result in an unpleasant odour and appearance. 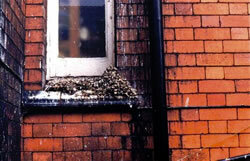 The high nutrient content of bird excrement provides an excellent sanctuary for potentially harmful organisms. Guano is dangerous to handle, and should never be removed when dry, as the dust can be inhaled and ill get in your eyes an ears causing disease. on 01 2303580 or see our Contact Page.